TME has introduced to its offer hot air glue guns, staplers and accessories of the SwedishRAPID company. These tools are characterized with modern design, aesthetic value of workmanship and high reliability. hot air guns with airflow temperature electronic control and manual control with different power rates, individually or in kits with accessories. 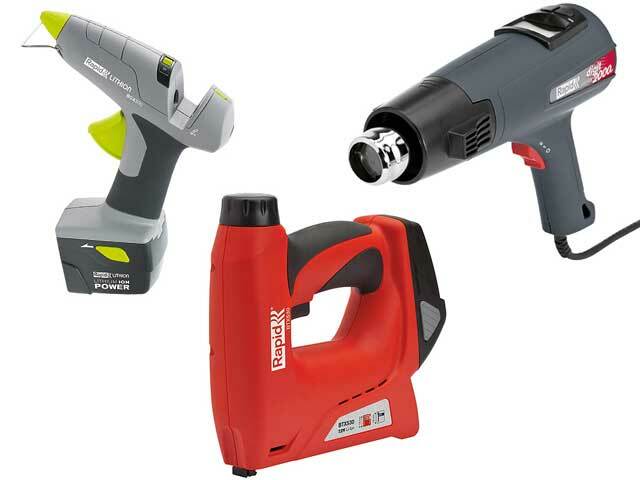 glue guns designed for DYI enthusiasts as well as for industrial customers, with mains power supply or Li-on battery supply. .
Li-on battery staplers and manual.